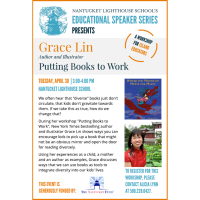 NANTUCKET, MA – Generously funded by the Community Foundation for Nantucket’s Nantucket Fund, Nantucket Lighthouse School is delighted to be hosting children’s author Grace Lin on Tuesday, April 30, for a series of talks and a free professional development workshop for island educators. Grace Lin, a New York Times bestselling author/illustrator, won the Newbery Honor for Where the Mountain Meets the Moon and the Theodor Geisel Honor for Ling and Ting. Weaving fantasy and Chinese folktales, Lin’s stories are full of magic, adventure, friendship and fascinating characters. Her most recent novel When the Sea Turned to Silver was a National Book Award Finalist, and her most recent picture book, A Big Mooncake for Little Star was awarded the Caldecott Honor. A graduate of the Rhode Island School of Design, Lin is the author of over 25 books, ranging from picture books to early readers to chapter books. She will spend the day inside Nantucket Lighthouse School classrooms, leading book discussions on her award-winning chapter book Where the Mountain Meets the Moon, conducting ‘readers theatre’, and leading students in illustration exercises. Lin will also discuss how books are made from sketch to publication and offer read-alouds of her picture books and early readers for the school’s youngest students. Her visit will commence with a fourth-grade student performance of the play The Empty Pot based on a story by Demi, which was inspired by the same Chinese folktale that Lin writes about in her novel When the Sea Turned to Silver. 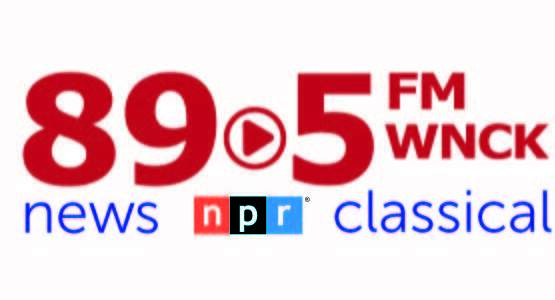 At 3:00PM on April 30th, Nantucket Lighthouse School will host a professional development workshop with Lin entitled “Putting Books to Work,” based off of herpopular TEDx talk, “The Windows and Mirrors of Your Child’s Bookshelf.” Lin will discuss ways to use books as tools to integrate diversity into our kids’ and students’ lives. 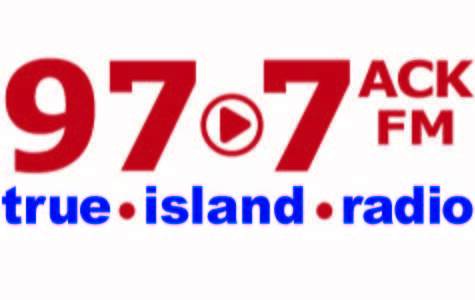 The workshop is free and open to all island educators, administrators and childcare providers. 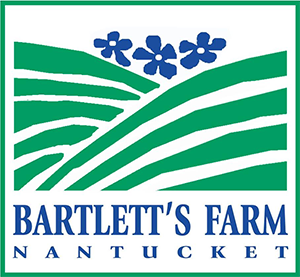 More information can be found on Nantucket Lighthouse School’s website: www.nantucketlighthouseschool.org.